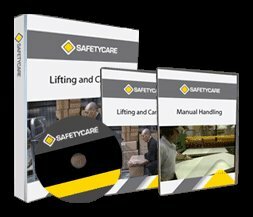 Workplace Safety Blog | Safetycare | Safety Training Videos | Free Safety Pictures and Resources: "I saw the sign"
This weeks 'I saw the sign!' is related to motor vehicles. Now for the ones of us out there that have a reasonably late model vehicle, who has seen or noticed this little tag on the seat bolster before? Not quite sure what it is, let's go in for a closer look. . . .
As cars become safer and safer, they are fitted with more and more airbags. 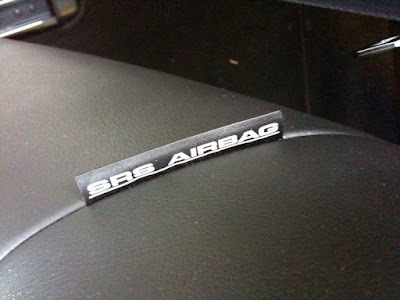 This little tag indicates that there is a bolster seat airbag fitted to this car. 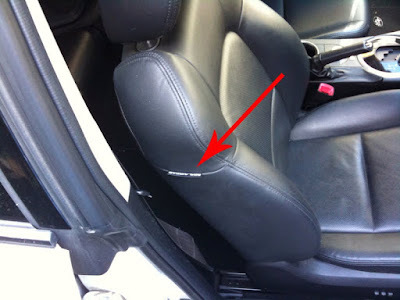 The airbag will deploy (if needed) from the tagged area. It is important we all do a quick check over our vehicles as to where airbags are fitted. This ensures we don't accidently put inappropriate seat covers or dashboard covers on etc, that could render these safety devices not only useless, but potentially dangerous. Have a quick look over your car today! 250,000 views for CPR on our YouTube Channel! Manual Handling according to Family Guy!